The last six months have been a challenging journey for me. I’ve been searching. I’ve been trying to find my unique path in life. I’ve questioned what my calling really is. Call it being a little lost. Call it a quarter life crisis (a couple years late). Call it whatever you’d like, but for me it has been an incredibly important, personal journey to determine what I should do with my life and finding the next steps to make me truly happy & fulfilled. This wasn’t something I wanted to talk about (much less write about). However, after yet another conversation with a friend going through the same thing, I realized I really need to share some of the things that helped me get to where I am. Here’s a few things that really helped me. Everything you’re thinking about has been a challenge for others before. There are experts who have devoted their lives to these subjects and books are a great way to learn from them at your own pace. I read a lot and all of these came highly recommended by friends and mentors, so trust me, they’re helpful. Growth means knowing you’re always learning and that even the best were a novice at some point. Never say, “I can’t do that.” This attitude is an important one to adopt as you find your path: Just because it’s your path, doesn’t mean it will be easy. 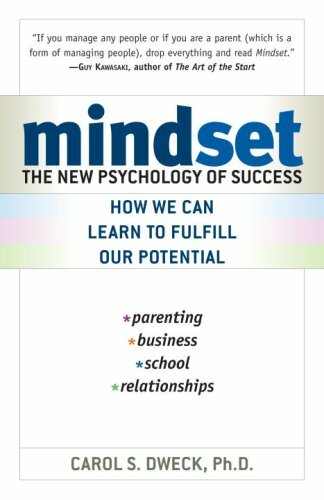 Mindset will help you understand how to approach the big, scary dreams you have with the right attitude. “Find your passion” is the message of Generation Y and I think it’s led many of us astray. There are many things we each are passionate about, but not all of them should be more than a hobby. 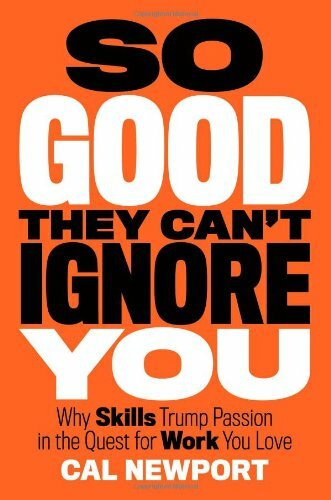 So Good They Can’t Ignore You will help you figure out what you’re great at and how to do more of it while building a fulfilling life. Only 1 in 12 men sent to a concentration camp survived the Holocaust. The author was one of them. 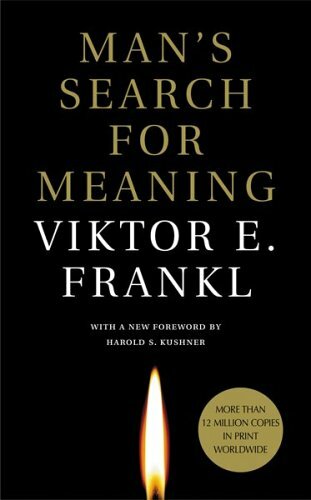 From that experience and a lifetime as psychologist, Frankl has some powerful views on life and the importance of having a personal Why. He also reminds us that suffering is a part of life; as much as the American media makes us think we’re all supposed to be happy 24/7, there’s value and growth in struggling with the right things. As you go through those books, it’s important to listen for that voice inside you for what it really wants. In the case of Elle, she was a successful designer at Mailbox (bought by Dropbox), but was having dreams pulling her in another direction. Just as important is Elle’s awesome article on First Round Capital’s amazing blog called, “What to do at the Crossroads of Should and Must.” This came at the perfect time for me as I was interviewing for jobs I thought I *should* take while working on a startup I felt I *must* work on. I am coincidentally no longer doing the should and focused on the things I feel I must do. There is a lot of material in the article different than her talk so I encourage you to check out both. This doesn’t have to be anything special. Just get one of those old school spiral-bound notebooks with lots of pages and your favorite writing form (pen, pencil, sharpie, etc). Once you have the notebook, sit down alone and start writing anything that comes to mind. Just get everything swimming in your head out and write until you’ve filled a few pages. Do this every day. What you write about will change. I’ve written about everything from passions to frustrations, forgiveness to regrets, startup ideas to objective views of the past. Every bit of it helped in different ways and brought my mind out of places I was previously stuck. After awhile you will find you may have less of an urge to write. That’s okay. Know that the notebook is there to release things when they’re stuck inside. It needs an outlet. Don’t bother reading what you’ve written either; some of it won’t be nice things, but there’s a good chance getting it out will help you move on. At least for me, this journey was as much about finding what’s next as it was letting go of things holding me back. Now, I don’t write in the notebook every day, but when I have something I need to get out of me, I stop what I’m doing and grab the notebook to start writing. I also use it when I’m stuck on something and need to explore an idea. It is this exploration that helped me arrive at what I’m excited to be working on today. Another book? Yes. The ideas that you’ll be piecing together from the above books, the great stuff from Elle Luna, and writing will make you ready for this book. This is the book that will help you put it all together and figure out how you can really execute on that scary, ambitious *must* that’s dying to get out of you. On the surface it looks like another pop-self-help book, but it has an important process that will help you clearly define who you want to become and how you can get there. They ask you who you want to be in 10-20 years, then what you want to be in 3 years to put you on a path to get there, and finally how to find the actionable steps you can take in the next 12 weeks to begin. Following their exercises and examples helped me sew together all the ideas that I had generated from the rest of my journey. The first thing you try probably won’t work. Taking the first step to get out the door though is very important. Every thing you try will add new skills, new perspectives, and new people to your life. All of those will combine to bring you closer to your end goal, even if that’s not entirely clear. Don’t be afraid to quit and try something else. I was an Electrical Engineer in college who realized he didn’t want to be one. I tried to start a hardware company with some friends (it failed). Then I started Greenhorn Connect, a modest success that gave me a platform for developing skills in marketing, hiring, managing, product and sales. This helped me get jobs first at oneforty (the now-defunct app store for Twitter) and then to move to SF to join KISSmetrics. In both jobs, I learned a ton. Between those two jobs, I tried consulting (the only thing I liked was the money) and a bunch of startup ideas that went nowhere (hint: the moving industry is not a great place to build software). Most recently, I spent last fall diving into the world of 3D Printing and just never found the right team and idea in the nascent industry. This led me to job hunt again, which is when a lot of the above journey of discovery began. It was only then that I realized what I really want to do now. Every step in the journey has been important in helping me get here. I’ve embraced the fact that this could be another failed step, or the one that puts it all together. If you really work at it, if you really think about the ideas in the books above and challenge yourself to write what’s in your heart, then I believe you’ll have some things to go on to find the next steps in your uniquely fulfilling life. I have realized both the good and the bad in my life has taught me important lessons and prepared me for what’s next. In my case, that’s writing a book about How to Build Customer Driven Products based on what I’ve learned from the jobs I’ve had, the consulting I’ve done, and the great mentors I’ve met along the way. It also means patching up a few relationships I made mistakes with and have much better perspective on now. Most importantly to me, it’s realizing that I’m a founder at heart and that I’m now working on an idea I’m driven to work on every day: helping people be better managers. I can’t guarantee these tactics will work for you, but working through all of the above and with the help of some great friends I’ve gotten to a satisfying place. If you’ve asked these questions of yourself before, I’d love to hear what helped you in the comments. This post is for all those coming after us that could use help on figuring out their journey.